Time should always be made for you and your partner to get a way, at least for a few days. While it can be difficult to find the time to put everything off for an entire weekend, it will be worth it. Here are a few of the top romantic places to visit and stay around the UK. For you minimalists out there that love to be close to nature, the Red Kite Tree Tent in Wales is the ideal place to visit. It is a form of glamping that you and your partner most likely have never experienced. 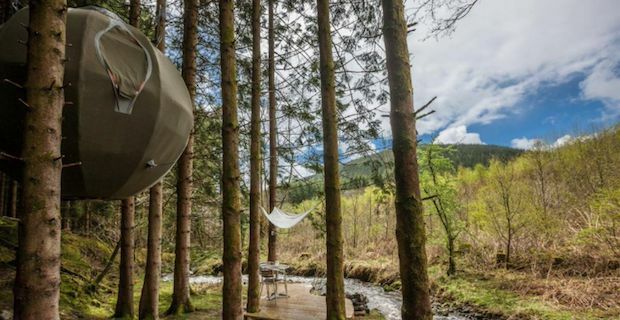 This place is home to the UK’s first tree tent where you and your partner can relax in the double bed in a 3m sphere that is hanging from a tree. How great is that? There is also a fire pit nearby and running water so you won’t be too remote. For three nights it will put you out £385. Another rustic option is called Out of the Valley and is located in Devon. This is a small open planned cedar cabin that is tucked away in the valley of the National Trust Woodland. It is a cozy getaway that has a king-sized bed, a wood burner and plenty of natural light to make you feel close to nature. And, if the weather is right, there is also plenty of opportunity to go out for lovely walks and go fishing and swimming nearby. This only costs £108 per night and is well worth it. 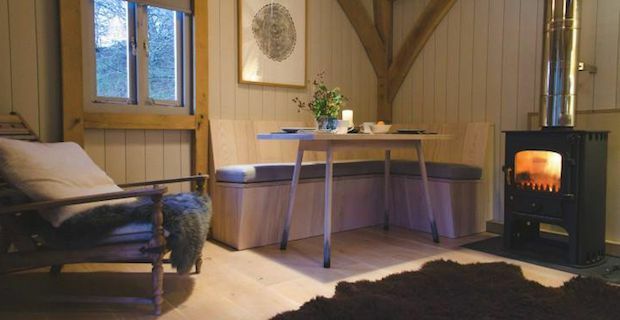 The Asphodel Cottage in Cotswolds is another extremely rustic getaway. 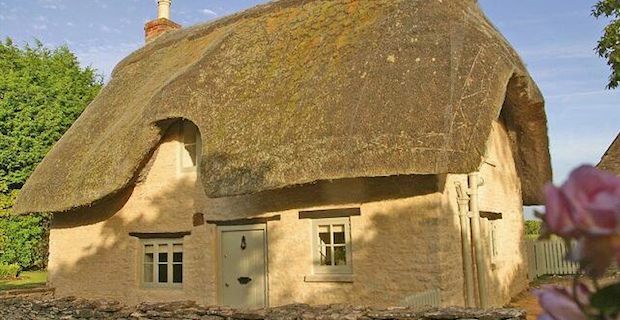 This is a 17th century thatched home that holds all the original charm plus some modern flare. For only £80 a night you and your partner can cozy up on the large sofas and relax by a roaring fire. In the morning, enjoy breakfast outside on the couch in the seating area and take in the fresh air. If you are craving a pint, the pub is only a mile away. For a much more modern romantic getaway, visit Laura Ashley The Belsfield located in Lake District. 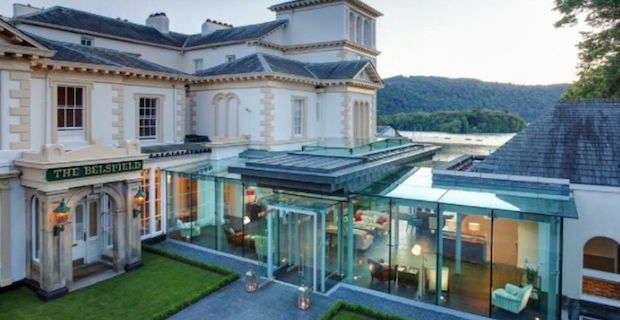 This hotel is perched up on a hill that overlooks Lake Windermere below. All the rooms in the hotel are designed and furnished by Laura Ashley and are absolutely breathtaking. They have Valentine’s Packages starting at £425.